The recent announcement that Sharon Warburton had joined Kelly Carter on the Gold Industry Group board, brought to mind the first Women in Gold Sundowner at the Perth Mint where they also shared the stage. At that event, Gold Fields Australia’s Vice President of Legal and Compliance; Kelly Carter urged the industry to do more on diversity. “We often say that the ‘benefit to the business’ goes without saying, but the lack of progress that has been made in achieving gender equity is indicative of the fact that the relevant decision makers don’t seem to believe what they hear,” she said. Carter said that without a culture of inclusivity, gender equity simply became a numbers game. “Equally, without the numbers, inclusivity is almost impossible to achieve. As with any cultural change, this requires strong, visible leadership,” she said. 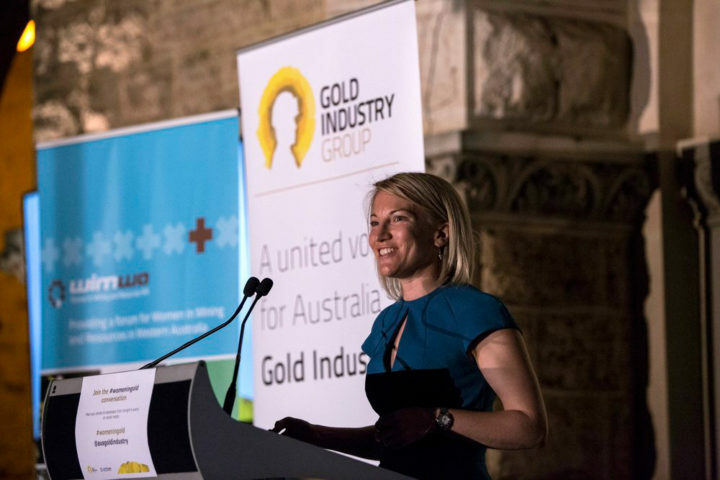 Sharon Warburton, who recently joined the board of the Gold Industry Group, was the MC for the night.